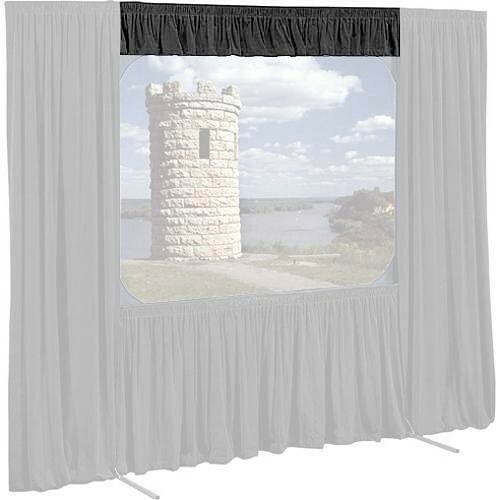 The Draper Valence for the Projection Screen is part of the Dress Kit that will finish your screen in a professional and stylish way. The Valence runs along the top of the screen and prevents unwanted light from spilling onto the screen's surface. It also gives the screen a top, finished edge. The Valance works especially well when using the screen for rear projection since it will also hide the projection equipment.